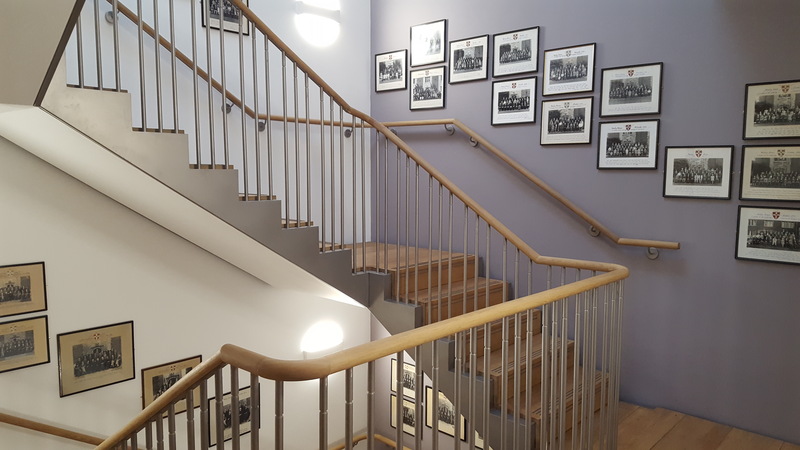 On the staircase are displayed the year photographs from 1921 to the present day. There is also a photograph of William Greenhalgh, benefactor to the college, after whom this building is named. The colour photographs displayed in the corridors represent the doctrinal themes of creation, redemption and regeneration. They were taken by Jane Leach. Jesus is escorted by armed guard: the railing spikes echo the shapes of the spears of the Roman soldiers who led Jesus out of Jerusalem to be crucified. Jesus is crucified: the image is of a Benin bronze sculpture of the crucifixion. The Christ in this image holds his head up. The golden colours suggest that the cross is the victory of love over violence and death. 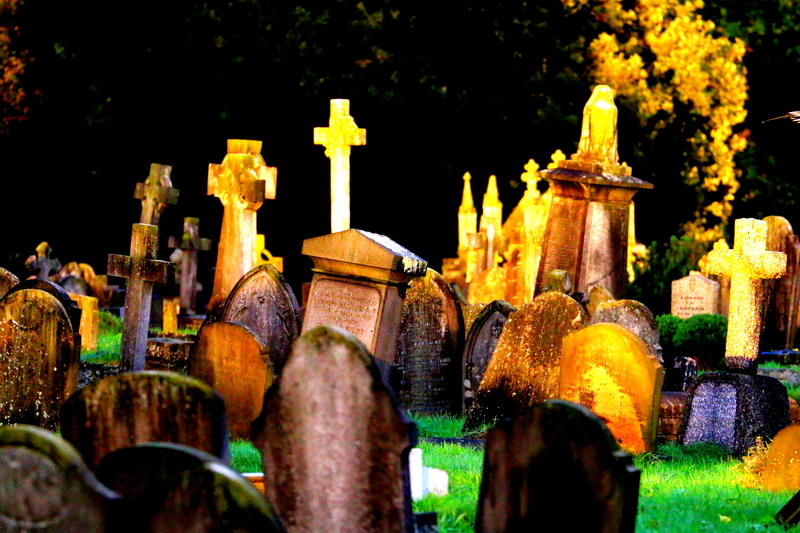 Jesus is laid in the tomb: the tombstones caught in the evening light are at Kensal Green cemetery. The dead await the general resurrection with Christ. Living Water: the water of life is promised by the Spirit in Revelation 22.17. This image is of running water at a Shinto Shrine in Miyajama, Japan, provided for worshippers to drink from the bamboo spoons pictured. Lights to the world: those who walk in the light of Christ bear this light for the world. This image is of a light installation on the South Bank of the river Thames in London. Dance: dance has been an image for the life of God in three persons, Father, Son and Holy spirit, since Patristic times. This image is of a flamenco dancer in Seville, Spain. 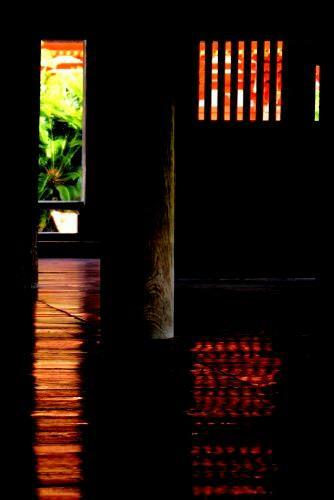 It reflects the exuberance and energy of life lived in harmony with God’s perichoretic dance. Perspective: this detail of beach huts from Southwold focuses the attention ever deeper and further. Life in the Holy Spirit offers an eternal depth and cosmic perspective.